Posted February 10, 2017 by Stephanie Goggin & filed under Check This Out!. When choosing to venture into avalanche prone areas, first do some homework. critical information regarding past and present snowpack and weather information. Has there been any new snow in the past 48hrs. Have there been reports of recent avalanches in the area in the past 48hrs. activity on slopes of similar aspect and elevation to those you plan to play on. Be observant of past, current and anticipated weather conditions. or traveling under steep slopes. does not guarantee safety either. Combine the subjective information you gathered before your adventure, along with the observations you make in the field and come up with an assessment of the potential hazards in the area where you plan to go. Based on all the information you have obtained so far, come up with a “travel plan” for your day of recreating in avalanche terrain AND come up with a “rescue plan” if despite your best efforts, something bad happens. What is your easiest route out (not always the same way you went in). Is there cell phone service where you are going? Leave your “proposed itinerary” with someone at home. Have a projected return time. immediately if a rescue is necessary. Posted January 8, 2017 by Stephanie Goggin & filed under Check This Out!. Join Boreal River for a week long Wilderness First Responder (WFR) course and experience the Costa Rican rainforest. Starting on February 24th, 2019. Attain international certification, but more importantly, gain the skills and confidence to handle medical situations in the backcountry. The 5-day WFR format lets you prepare for the course at your pace prior to the trip. This way we can spend more time on simulations and hands-on skill building. 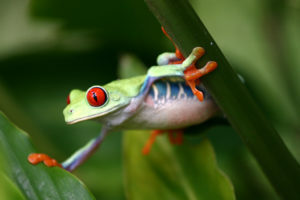 The week in Costa Rica is an action-packed experience. After meeting in San Jose and travelling through beautiful countryside by road, the true adventure begins at the riverbank. You’ll join your instructors, and professional guide team from Coast to Coast Adventures – our local hosts with over 20 years of experience running trips, courses, and adventure races in the region; everything is packed in dry bags and loaded into the rafts. Your group paddles and floats 6 miles of the Rio Pacuare through fun rapids and jungle clad gorges to reach the rainforest eco-camp, El Nido Del Tigre. This is a magical place and an incredible location for a training course. At the end of the week after 5 course days at and around camp, you’ll raft out through the next section of the river. Your group will pass through the deep and spectacular ‘Huacas’ and ‘Dos Montanas’ canyons paddling rapids and drifting by pounding waterfalls that spray wind and mist and by untouched rainforest buzzing with surrounding sounds. With great fresh food, spacious lounging areas with hammocks, platform tents, bathrooms, and showers – all well maintained, sustainably built, and looked after by caring local staff – the camps make for very special course locations and homes. 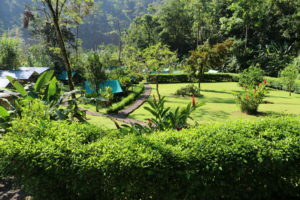 Toucans glide between towering trees while giant blue butterflies, sloths, and orchids are spotted amidst lush greenery. Students find that staying at the camps is a highlight of their experience in Costa Rica. 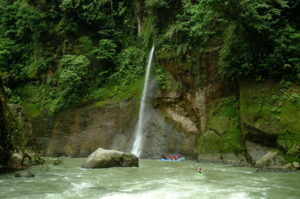 The Pacuare is considered one of the best rafting trips on the planet. Yet, despite its world-class status, the river remains unprotected and threatened by development projects. In 2016, after rafting the river, Costa Rica’s president Luis Guillermo Solís signed a decree banning dams from the Pacuare for 25 years. Thanks to the locals who have been fighting for the river for years, this is an important event and hopefully a step on the path to permanent and full protection. This course is for anybody aged 18 and up who is in good physical condition. No previous medical or river experience is necessary. It is important to have the discipline and learning style to complete the independent study component prior to arrival. The course is taught in English. Lodging, meals, return transport from San Jose, guided rafting, tuition, text books, and all training equipment. As you may know, a number of people from a variety of wilderness training organization wrote a Scope of Practice (SOP) document in 2010 for Wilderness First Aid (WFA) courses. The intent was to clearly articulate what we believe to be the intended audience of such a course and what a graduate of a 16 hour WFA should be trained to recognize and address when in the field. We did this in part to respond to what I believe have been unsatisfactory efforts by other groups and to answer the suggestion that there is no standard. This document is not binding to anyone, and is not considered as a WFA curriculum as such. The list of the SOP authors represents organizations that have taught literally tens of thousands of students across North America and on every other continent for more than 30 years. In turn, their instructors are actively engaged in outdoor pursuits and have some level of medical responsibility. Some of the authors are also involved in a parallel effort to publish a paper that lays out the scientific evidence that underpins this information. The WFA Scope of Practice was revised in 2012 as part of an ongoing process of review and upgrade. Please click here to review the latest version of the Wilderness First Aid Scope of Practice, released December 14, 2012. Posted June 29, 2012 by David Johnson, MD & filed under General, Risk Management. A medical advisor can and should be an integral part of your risk management team, not just the person who writes prescriptions for epinephrine. Functions could include review and advice on policies that have to do with safety, medical management and treatment protocols. If you do any screening, an adviser can also give some guidance and insight on a potential client’s underlying medical issues and how to work toward making meaningful accommodations to your program. In addition, this person should be involved in all incident reviews (e.g., treatment, evacuations, near misses). People with a wider range of medical experience provide the best guidance. Emergency medicine, family medicine, and depending on the age, pediatrics or internal medicine are areas of practice that best fill that bill. Look for someone who is local. Even better, try to find someone with outdoor interests who knows your program. Selecting a family member of your staff or of a prior participant has lead to successful matches in the past. Then, if you find someone who is interested, invite that person to come out with you on a trip or a day of one of your planned activities. Who knows, maybe you will find a new staff member. In the end, you want someone who likes the outdoors and understands and believes in what you are doing. It is important for that person to feel part of what you do, not just the provider of prescriptions. Wilderness Medical Associates (WMA) International has teamed up with University of New England to offer the Wilderness Medical Elective. Unlike traditional medical courses, WMA International provides a practical approach when environments are hostile and equipment and personnel are limited. The elective is tailored to medical students opting to gain knowledge of managing patients in these remote and low-resource settings; providing them with the confidence to think critically during medical emergencies. The Wilderness Medical Elective has prepared students for diverse medical work such as medical rescue, expedition doctors, Medicine Sans Frontier, remote medical clinics, disaster relief, rural practices, and the military. The Wilderness Medical Elective offers medical students an opportunity to expand their academic knowledge and clinical experience. Our core pedagogical components instill the best practices of medical school education, including didactic sessions, case study discussions, a variety of simulated patient encounters, practical skills lab, and evidence-based medicine reviews. Emphasis is given to assessing patients, formulating problem lists, and carrying out student-planned treatments (including evacuations) in relatively low-tech environments. The goal is for students to actively investigate and articulate these best practices through a hands-on curriculum that is engaging, practical, and proven. The course will be led by David Johnson, MD, President & Medical Director of Wilderness Medical Associates International. WMA International trains over 8,000 students annually and has instructed courses on all seven continents. The organization is compromised of hundreds of instructors with medical expertise balanced with a passion for the outdoors and a commitment to first class education. WMA International offers this specialized training because they understand the need. Recreationally and professionally, there is a large audience that faces unique medical risks. Proper training brings you home. David Johnson (WMA International President and Medical Director) and Mike Webster (WMA International Executive Director) meet with executive members of both the Chinese Mountaineering Association and Chinese Olympic Committee in May 2012 in Toronto, Canada. The meeting was an opportunity to discuss how WMA can support outdoor sport and recreation within China in an official capacity. WMA courses run regularly on mainland China and frequently in Hong Kong and Taiwan. Complete translation of WMA materials into Chinese is expected by the end 2012. If you are using ampules check the dates and lot numbers listed above. This is just another reminder that epinephrine shoud be visually inspected before use. It should be clear with no dislcoloration and free of any particulates. The manufacturer’s recommended storage temperatures are between 15° and 25° C (59º and 77º F) with no freezing (Lexicomp database). There is literature to suggest that those extremes can be pushed and that expiration dates are not set in stone. Freezing and then thawing is not a good idea for liquids in general but I could find nothing specific about epinphrine. Storing out of direct sunlight is also felt to be a good idea. Use epinephrine that is up-to-date, clear without color, and free of particulates. Storing in a hot glove compartment for hours or a few days is most likely okay as long as the prior conditions are met. Freeze/thaw is not so clear. An expirated EpiPen will be degraded but still helpful if clear/colorless and particulate free. 3. Periodically check the condition of medications and their packaging. Want to be Notified of New Courses? Course Subscriber is a service dedicated to notifying students when courses are added to wildmed.com. You choose the criteria: Type of course, the distance you are willing to travel, and dates that work with your schedule. This is a useful tool if you want to know when viable recertification options become available. Course Subscriber may also be used if you are a WAFA (or AWFA) student looking for Bridge courses to further your training. Follow this link and complete a quick registration form. It’s that simple! You will receive notification as courses are added that meet your parameters. We encourage you to continue educational pursuits in wilderness medical training. We are always receptive to your feedback, as it’s integral to our progress. If you have suggestions on how we can improve our services to you, please contact us. Jack, a Wilderness First Responder from Ohio, sent us this amazing story. “Hi there. Just wanted thank Wilderness Medical Associates (especially Phil, Robin, and Stephen) for their great instruction in last January’s Wilderness First Responder course at the University of Alabama. This summer, I utilized my skills in the backcountry to treat many routine issues, and some minor emergencies. The training was very useful, but I didn’t really appreciate how valuable the course really was until Friday of last week, when I drove up to the scene of a grisly motorcycle wreck, only seconds after the crash. I first secured the scene, and made sure that 911 was dispatched for the motorcyclist who had presumably lost control of his bike, and crashed into a tree on a winding back road. After identifying myself as a wilderness first responder, I began stabilizing the semi-conscious man’s cervical spine with in-line stabilization while I completed the initial assessment, which yielded findings of a rigid abdomen, presumably shattered pelvis, and fractures to both legs. In addition to complaining of intense pain, the patient also was devoid of sensation his legs, making tedious stabilization of the spine even more vital. I continued to hold stabilization and kept other bystander “rescuers” from moving the patient during the ten minute response times for local fire/rescue. Once EMS arrived on scene, I presented my initial assessment to paramedics, and then assisted in log rolling the patient onto a backboard. Air Care Cincinnati was called to the scene and the man was flown by medical helicopter to the local trauma center for emergency surgery. Click here for a list of upcoming Wilderness First Responder courses in your area.